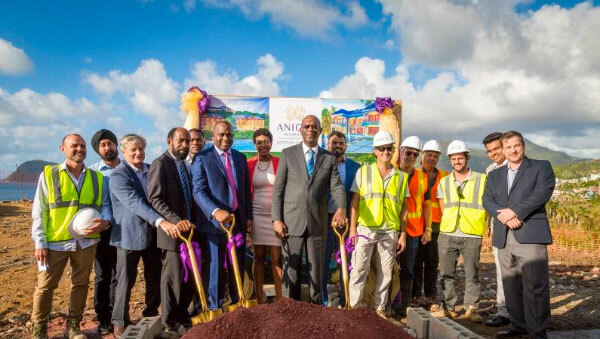 Principals of the Anichi Resort and Spa recently hosted Dominica Prime Minister Roosevelt Skerrit and members of his Cabinet in a ground breaking ceremony for a new 120-room property being built in the northern town of Portsmouth. The boutique property will be operated by Trust Hospitality under the Autograph Collection Hotels brand of Marriott and is expected to open in late 2019. The project is funded from the real estate component of Dominica’s Citizenship by Investment (CBI) program. So far, three of the approved hospitality projects under the real estate component of the CBI program have begun construction. In addition to Anichi Resort and Spa, the Cabrits Resort Kempinski, Dominica with 160 rooms and the Jungle Bay Resorts and Spa with 120 rooms are both expected to begin welcoming guests in early 2019.